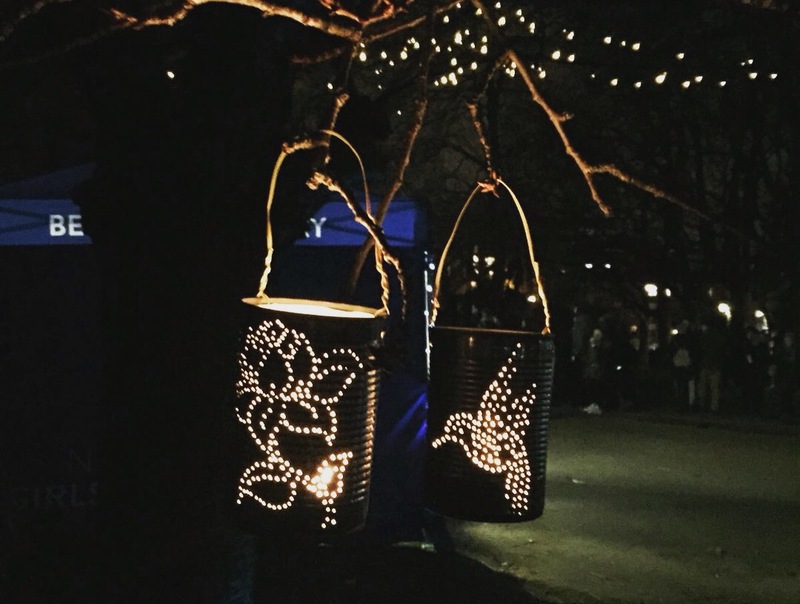 Following collection of a very large number of recycled tin cans from girls, staff, parents and KS1 children from St Edmund Campion Catholic Primary, we aimed to illuminate Nottingham Castle’s grounds with hundreds of lanterns. 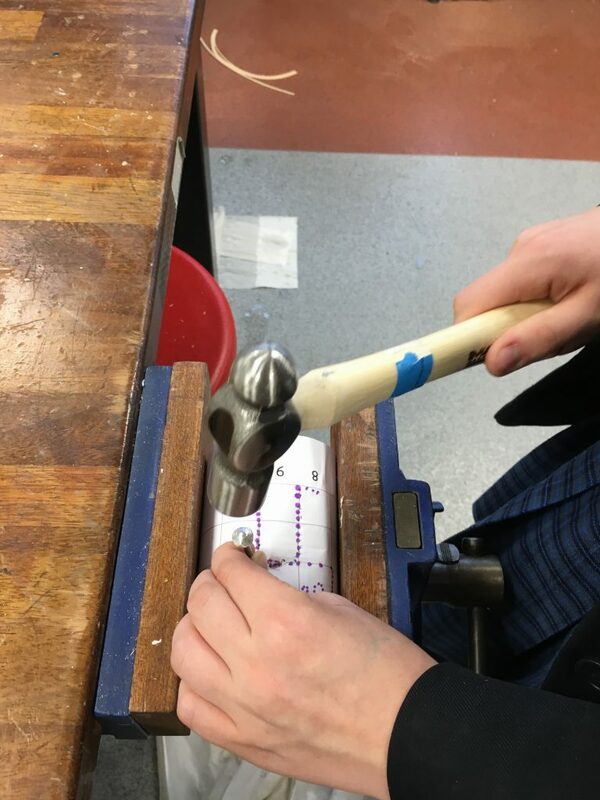 Working with one of our partner primaries, children designed patterns that would later be punched into 120 recycled tin cans. We filled each can with water, froze them overnight and began making holes with a hammer and nail. The work was arduous but our lanterns looked fantastic and we were soon looking forward to seeing the patterns illuminated. 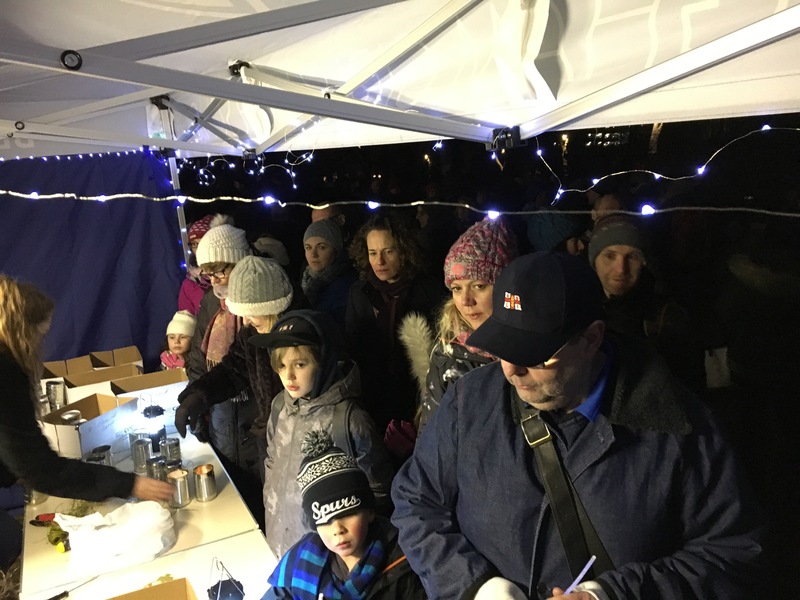 After arrival and setup, we did not anticipate how popular our little lanterns would be! We were quickly greeted by members of the public requesting 1, 2 or even 5 lanterns. 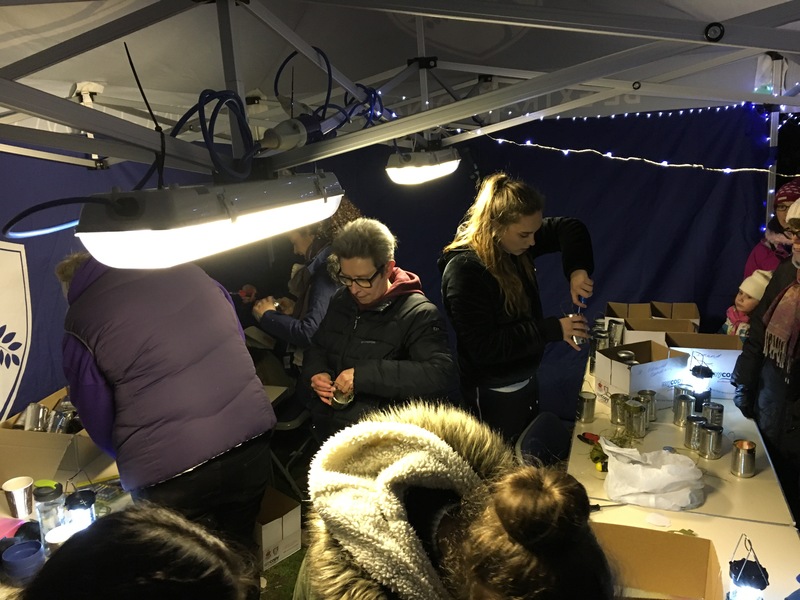 Inside the marquee was just as busy, with staff and student volunteers frantically preparing lantern handles and lighting tea light candles. By 7.30pm we were quickly running low on supplies with the last tin can lantern handed over to a 5 year old girl at 8pm. A total of over 800 tin can lanterns were dispersed into Nottingham City centre as part of Reach Out’s participation in Light Night. 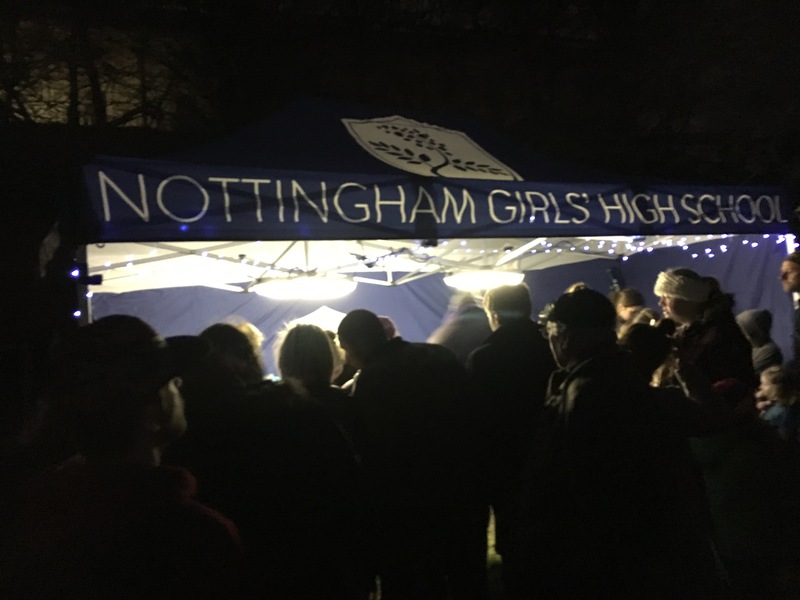 Reach Out would like to thank Light Night organisers at NCC, staff and stewards at Nottingham Castle, our NGHS student and staff volunteers, the general public who attended, and finally, our participating community school St Edmund Campion Catholic Primary Academy. We look forward to participating in Light Night again next year!